Hello and welcome. This website is for families who grieve a loved one gripped by the disease of addiction. My hope is that you will find helpful information on these pages, as well as strength for the day and hope for the future. You’re undoubtedly suffering—I know because I’ve been there. I’ve felt your despair, your feelings of helplessness and hopelessness. Like you, I too have loved someone caught in the snare of substance use disorder. Ours was the family to which this could never happen. When my beloved daughter, Annie, became addicted to alcohol, marijuana, and then ultimately lived on the streets of our community addicted to meth, I realized that if addiction could happen to her, then addiction could happen to absolutely anyone. And it of course does. I am blessed that my daughter has achieved sustained recovery. In my journey alongside her, I’ve learned much about life, about love, about faith and addiction. I want to share all of this with you. 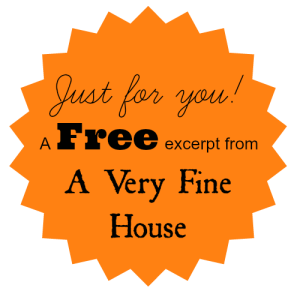 I hope you’ll subscribe to my blog for weekly insights on what I learned and how I coped. There is hope. While I pursue this work with passion, my background is in business and not addiction. I hold a bachelor’s degree in business administration and spent my early career in human resource management at well-known high-tech companies in Silicon Valley. For the past twenty years, I’ve earned my living as owner of a Northwest physician recruitment firm. Married to Pete for thirty-five years, we have the privilege of calling Bend, Oregon home. Our two adult children, Annie and Jeff, are the joys of our lives. 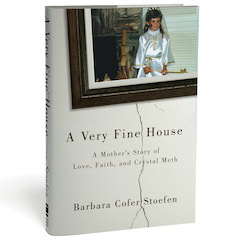 I have just released my first book, a memoir titled, A Very Fine House: A Mother’s Story of Love, Faith and Crystal Meth. Credits: Many thanks to Leah Apineru of Impact Author for her work on this website. Thanks also to Jay Watts for his IT expertise, and Carrie for her graphic work.